Trying To Be Thoughtful: But Heaven Rest Us, I'm Not Asbestos! From the Merriam-Webster Online Dictionary --- Main Entry: thought·ful --- 1 a : absorbed in thought : MEDITATIVE b : characterized by careful reasoned thinking (a thoughtful essay) 2 a : having thoughts : HEEDFUL (became thoughtful about religion) b : given to or chosen or made with heedful anticipation of the needs and wants of others (a kind and thoughtful friend). I am trying to be both heedful and meditative. But Heaven Rest Us, I'm Not Asbestos! The peerless Ella Fitgerald, with pianist Tommy Flanagan, Frank de la Rosa (bass), and Ed Thigpen (drums), perform "I Won't Dance," live at the Montreux Jazz Festival, 1969. The lyrics for the tune were first written by Oscar Hammerstein II and Otto Harbach (composer Jerome Kern) for the London musical "Three Sisters", which premiered in 1934. Dorothy Fields and Jimmy McHugh changed the lyrics of the song, keeping only the title that Oscar Hammerstein II originated, for the film "Roberta," in 1935. Relative Esoterica has great stuff on Dorothy Fields. 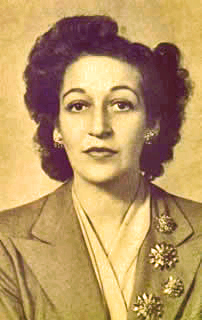 Dorothy Fields info at All About Jewish Theater and The Songwriters Hall of Fame. "... rest us ... asbestos"
"America's abundance was created not by public sacrifices to 'the common good,' but by the productive genius of free men who pursued their own personal interests and the making of their own private fortunes. They did not starve the people to pay for America's industrialization. They gave the people better jobs, higher wages and cheaper goods with every new machine they invented, with every scientific discovery or technological advance -- and thus the whole country was moving forward and profiting, not suffering, every step of the way." Winsor McCay - "Little Nemo"
Ink Circles -- "Dutch Beast"
Fellow-citizens, we cannot escape history. We of this Congress and this administration, will be remembered in spite of ourselves. No personal significance, or insignificance, can spare one or another of us. The fiery trial through which we pass, will light us down, in honor or dishonor, to the latest generation. We say we are for the Union. The world will not forget that we say this. We know how to save the Union. The world knows we do know how to save it. We -- even we here -- hold the power, and bear the responsibility. In giving freedom to the slave, we assure freedom to the free -- honorable alike in what we give, and what we preserve. We shall nobly save, or meanly lose, the last best hope of earth. Other means may succeed; this could not fail. The way is plain, peaceful, generous, just -- a way which, if followed, the world will forever applaud, and God must forever bless.